Colorado is home to many beloved pet owners. 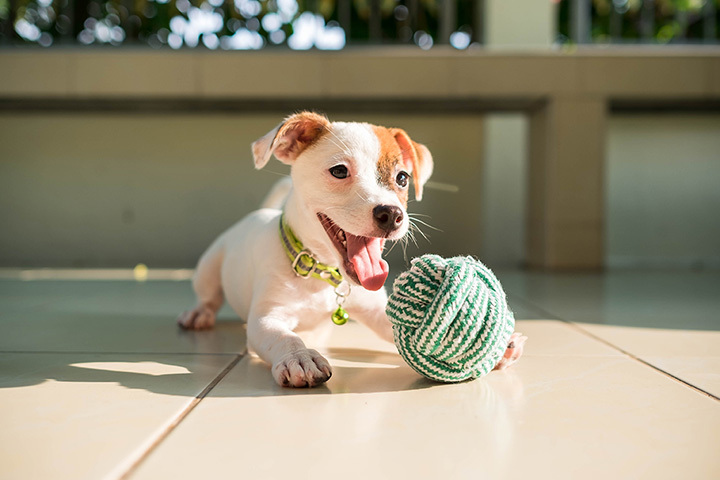 It doesn’t matter if you own a reptile, a bird, dog or cat, there’s a pet store in the Centennial State to cater to the needs of your little companion. You’ll find knowledgeable staff, locally-made products, well-loved brands, and a welcoming atmosphere at these 10 great pet stores in Colorado. This family-owned business in Lakewood has been selling pets and pet supplies since 1985. Pet World offers pets such as birds, fish and other small animals like guinea pigs and hamsters. When it comes to birds, Pet World offers services like wing trimming and nail clipping, along with selling a variety of birds from macaws to finches. Reptile owners in the Denver area flock to Feeder Frenzy Reptiles for all their reptile-related needs. Feeder Frenzy Reptiles not only provides reptiles, amphibians, snakes and geckos, but also must-need reptile accessories like glass terrariums and live food like roaches and crickets. Opened for more than 25 years, Aquatic Dog sells puppies from reputable dealers along with a wide variety of tropical fish. Find natural pet food to toys, tanks and other accessories here. Feel confident in buying a pet or product from Aquatic Dog, which aims to provide happy and healthy pets. Pet Station is a pet store that provides all your go-to necessities for dogs, cats and birds. Visitors to Pet Station will also find a serve-service pet wash here too. Although this store doesn’t sell actual pets, you will find however a number of topnotch products like natural foods, toys, wild bird seed and Colorado-made chicken feed. Pet Station is a locally-owned and operated pet store since 2006. Find one-of-a-kind products for your dog or cat at Chewy’s Bonetique. Chewy’s Bonetique offers natural food and organic treats but also Colorado-made collars and leashes. Not only head to Chewy’s Bonetique for some awesome products but also for a self-service dog wash or make an appointment so the experienced staff can wash or groom your furry friend. Colorado Springs residents have two Pet and Pantry & Dog Wash locations to visit in Colorado Springs. At this pet store, there is a wide variety of dog and cat food and other supplies for cats, dogs, birds, reptiles and aquatic life. There is also a self-service dog wash here. Wag N’ Wash Natural Food & Bakery has a number of locally-owned locations in the Front Range of Colorado, making it a popular pet shop for many pet owners. Find pet food, a dog wash station and lots of toys and accessories at Wag N’ Wash. Also you are sure to always get a good deal here, since Wag N’ Wash offers a rewards program, promotions and coupons for their customers. Bird lovers flock to This Place Is For The Birds to find everything bird-related. This pet shop is specifically catered to wild birds. This Place Is For The Birds provides feeders, nesting boxes, bird boxes, seed and yard ornaments. The bird seed here is truly one-of-a-kind—the owner of This Place Is For The Birds actually mixes his own bird seed, which is made with products from Colorado-based farmers. About Fish, Inc. is all about fish. From healthy saltwater and freshwater fish for sell along with everything a fish owner needs to own a fish, customers can buy with confidence at About Fish, Inc. Knowledgeable staff is here at About Fish, Inc. to guide fish owners on any and all fish-related questions and needs. Quality pet products are found at A Pet’s Paradise. Browse in the shop or even call for delivery. A Pet’s Paradise provides items like natural pet food, toys, collars, leashes, supplements and beds. Many of the products are natural, organic or made in the United States.